Enjoy the quiet of the countryside and peaceful atmosphere at Angels Camp RV & Camping Resort! Angels Camp RV and Camping Resort is a fun, family-friendly RV & Camping Resort right in the heart of Gold Country. We have 82 sites, 5 cabins and 2 lodges to accommodate our guests. Our quiet, and secure campground is centrally located near the famous Calaveras wineries (19 and still growing) and home of the annual Frog Jumping Jubilee. We’re also close to exciting caverns, one with a zip-line, championship golf courses, great fishing at one of the largest lakes in the entire state (New Melones), amidst numerous scattered historical gold rush towns, Bear Valley, Big Trees National Park, near Yosemite National Park — history galore –as well as a wide variety of other recreational and family activities. Check out the Events Calendar and Points of Interest. Grounds include pull-through RV sites with no restrictions on size/slide outs, with either full or partial hookup (free dump), rustic 1 and 2-room log cabins (5 of them), 2 lodges and regular or premium (with water/electricity) tent sites. Amenities include clean showers/bathrooms, laundry, meeting room, small convenience store, seasonal pool, playground, beach volleyball court, horseshoes and kitchen pavilion with stovetops, hot water and picnic tables. Groups and pets are welcome (we have a new dog park)! Good Sam and AAA discounts offered any time except major holidays/Frog Jump. Daily, weekly or extended stay rates available. Reservations recommended. Visted Angels Camp RV & Camping Resort Campground lately? We'd love to hear about your adventure. Did you find us useful? Did we forget something? 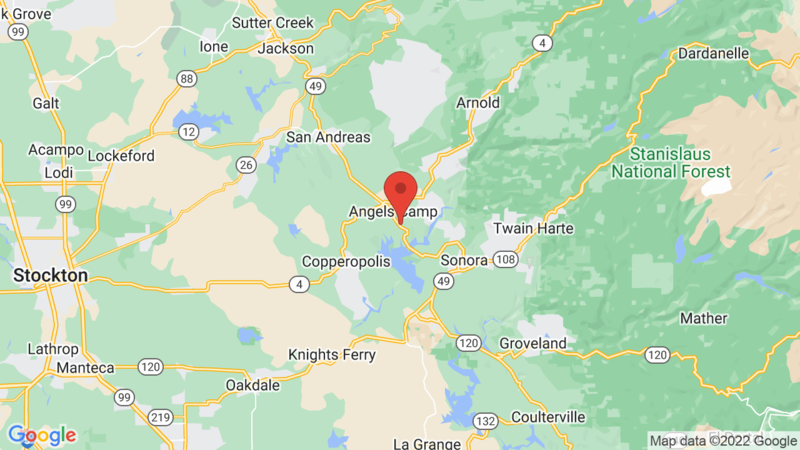 Anything our community should know before heading out to Angels Camp RV & Camping Resort?